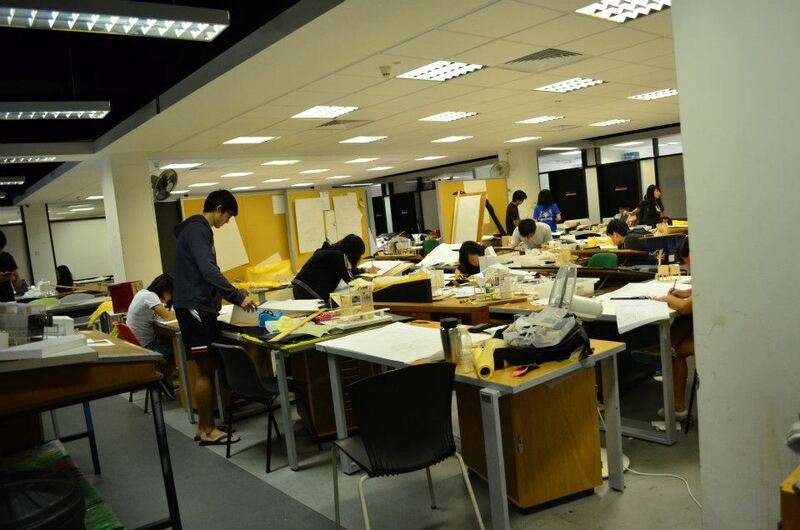 The studio was joint workshop studio with the team of National University of Singapore led by Wong Chong Thai and team of University of Pelita Harapan consists of Tatyana Kusumo, Kartika Sari, Adi, Maria Vanessa, Raymond, and Jovita led by Realrich Sjarief. 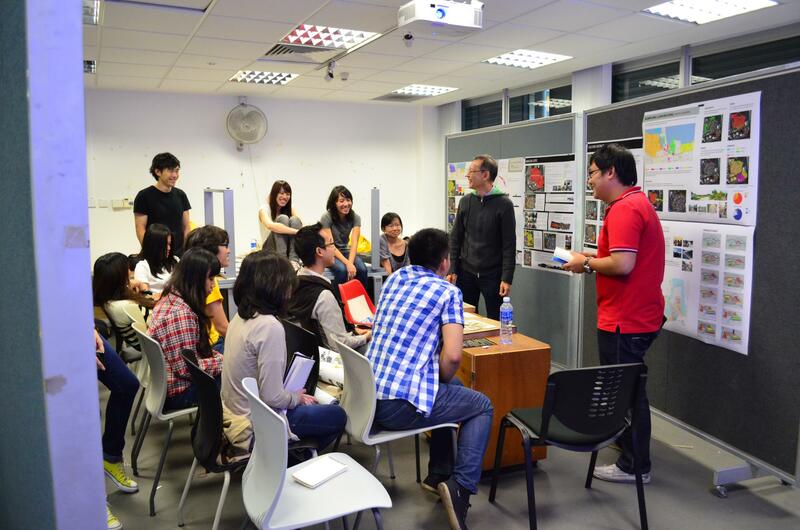 There were two reviews arranged in the studio which the first review was hosted by NUS in Singapore by Wong Chong Thai and the second review was hosted in UPH by having David Hutama and Ivan Kurniawan Nasution as guest reviewer. The research project focused on student’s attention on understanding cities, as they are, the predictability of formal and unpredictability of the informal. The team chose Kampung Luar Batang:a precinct that supports old city centre of Jakarta and Alam Sutera precinct that is new upcoming development as the pilot project of joint collaboration studio. The studio consisted of main key actors of the urban design precincts between government, developer and student as urban designer and architect. In many ways, those locations resemble the location outcomes of business as usual paradigm, which resulted on core precincts, and supporting precincts, which are the area of marginalised worker. It consist mutualism relationship between each other include the marginalised workers require space to live, work and play. In a sense it needs one way to answer how far the equilibrium could be offered by one design scheme to bridge formal – informal, peri – urban, rural – city, desa – kota. The process in the studio was to find the answer of this question. e act of drawing the diagrams, the grid, the buildings, trees, median strips and pockets of grass invited by the context is well written by the need of the people. The team studied by research the need of the people by interviewing, imagining, and doing research on architect’s paradigm. I believe that the strong argument is based on evidence. So the part of the studio was under standing paradigms that shape the city. 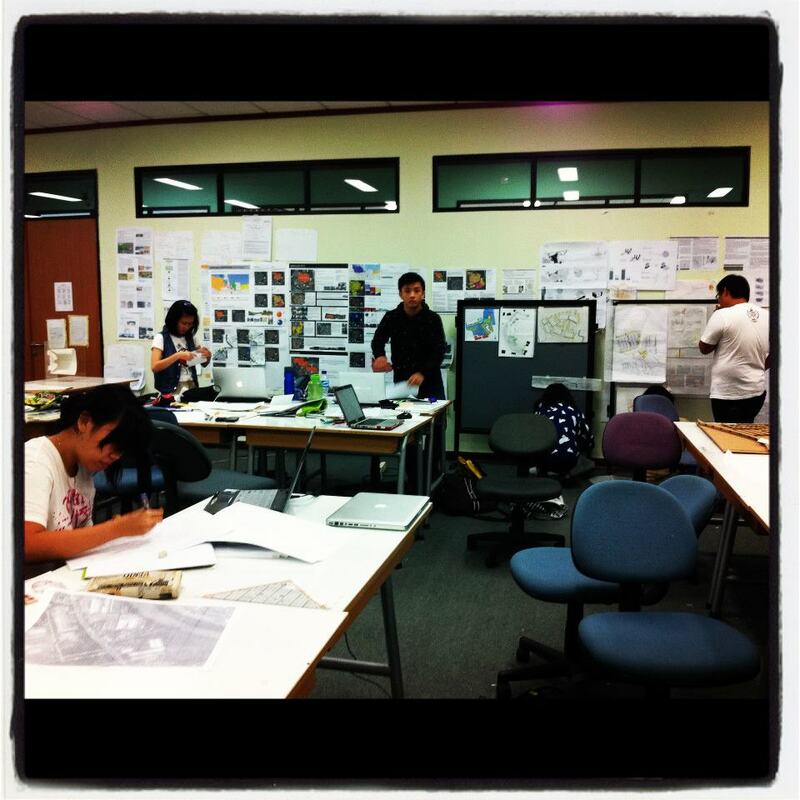 In the studio 20 case studies and literatures were discussed to form the thinking of the students. It helps to gain understanding the architect’s paradigm that shape our city which focus on paradigm such as: empiricist, rationalist, neo-traditional, new urbanism, deconstructive city. The studio studies the paradigm that shapes our city from literature study, on site study. The process of finding the answer is always interesting to see. The more interesting thing happened when the team tried to understand how the people try to adopt change and growth, maintains their sense of community. Finally the successful scheme answered that studio inquiry that there are many chances to blend the informal and formal, the poor and the rich, to collaborate with developer, government; architect should respond to investigate all of the opportunities. Which then I believe by doing so architecture will respond to the beauty of stitching the opposites.